I like quests that sit and wait on me. I like discovery quests. Mah personal favorite!!! I think thenlights and bed look awesome. Hot tub...sure it's all kinda kewl stuff. I AM suspicious of th submit your house thing... Creepy if you ask me. Love the Romantic beds & the hot Tub, too... So-so on the lights. Will have to think on how to use the fairy lights. Has anyone completed this quest and tried out the Architect feature? Or is that just referring to the fact that you are the architect because of your house design that you submitted. I wasn't sure if this was a hobby or not. 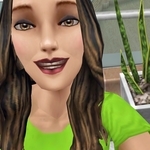 Newer to Freeplay....lifelong Sim Fan. Not a lot to offer in my town now, but will be moving on up soon! ablackwelder3 wrote: Has anyone completed this quest and tried out the Architect feature? Or is that just referring to the fact that you are the architect because of your house design that you submitted. I wasn't sure if this was a hobby or not. It's referring to the fact that you are the architect because of your house design that you submitted. There is no hobby. But the new feature is that when ever you have a sim at work at the Real Estate Agency your houses will have the sign in front of them and you can submit any of them. My quest hasn't shown up yet, which I am okay with, because I can level up my woodworkers. Thank you, Leah. I figured as much. I hadn't seen any new hobby tools or anything. It's in my weekly task. I just click the sign but you can just say no to the Terms of Agreement. The task would still be considered as done. You mean you paid for LPs to skip the task?